Create lab-quality color photos and everyday documents in your HP Deskjet 2130, 2132, 3630, 3632; Envy 4520 All-in-One; Officejet 4650 and 3830 with this Original HP ink cartridge. Ensure that your printing is right the first time and every time. This cartridge is designed with fraud protection and smart low-ink alerts to deliver worry-free performance and consistent results you can count on. 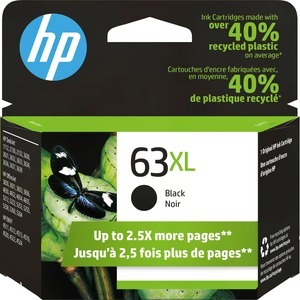 It also delivers up to twice the pages with Original HP XL inks vs. standard cartridges. Produce laser-quality documents with crisp text and sharp graphics that can make an impact and last for decades. High-yield ink cartridge delivers easy mobile printing and yields approximately 480 pages.